It’s great to see one company supporting one of its customers with a public statement, but when that company is Panasonic and its customer is Tesla Inc., you sit up and take notice. 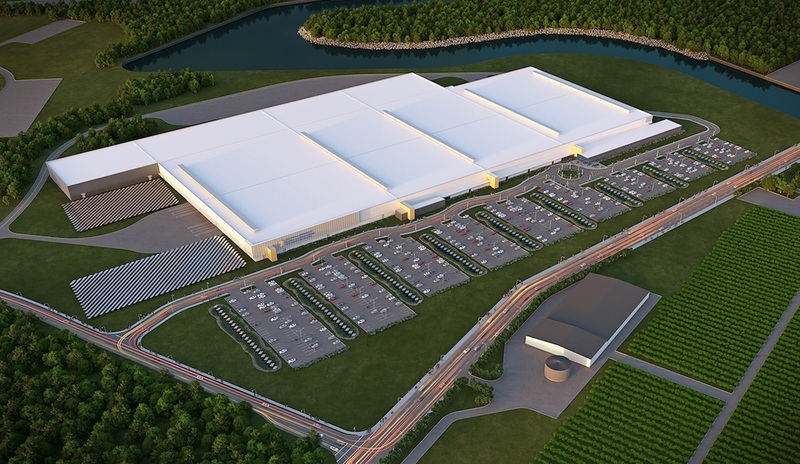 Whether or not the media or the analysts have any love for Tesla, Panasonic certainly does, as exhibited by Panasonic’s official reaction to the Buffalo, New York Gigafactory 2 situation with solar roofing systems. The problem: there are inordinate delays in producing solar roofing systems at the factory, which is shared by Panasonic. Insiders and former employees at Tesla and Panasonic say that the solar installations are being delayed by production-line problems as well as the fact that it’s hard to get a product’s esthetics approved by its CEO, Elon Musk. Based on that information, rumors are flying that Panasonic is starting to look for other buyers for its photovoltaic cells because of soft demand from Tesla. The response (by Panasonic): “We believe Tesla will use Panasonic cells when it mass-markets the Solar Roof.” The company also indicated that no supply deals or sales have been confirmed with anyone other than Tesla. So, publicly, Panasonic doesn’t want to give Tesla bad PR because of the problems at Gigafactory 2, but privately it may be looking to siphon off its production surplus. That’s not uncommon. Suppliers often redirect excess inventory when demand is low, and Panasonic is even selling a portion of its stock under its own brand. That being said, Panasonic does have a lot riding on Tesla. If Tesla goes private, as everything indicates it actually might, it might bode well for Panasonic. Musk’s main purpose for taking the go-private route is to have less answerability to public investors so the company can grow unfettered. If that happens, Panasonic is in the right place to benefit from more lenient governance at Tesla. Last month, Panasonic went as far as to say it was open to increasing its investment in Gigafactory 1 in Nevada. They’re already in for more than a billion dollars, so it makes sense to double-down at a time when Tesla is going up the growth slope. Panasonic will jump at the opportunity to have a bigger stake in the future of Tesla. And that’s why it is defending Tesla in the seemingly minor matter of solar installations. As long as Tesla is in compliance with state requirements, Panasonic doesn’t have to worry about anything more than soft demand. And by all indications, Tesla is currently on track to keeping its legal promises to the State of New York. The agreement governing the $750 million in investments that New York has made is being overseen by Empire State Development. The agency’s spokesperson confirmed that it believes Tesla is currently in compliance of its obligations. As long as things stay that way, Tesla is in the clear. The problems with solar roofing cannot go on indefinitely, although the only product Musk has approved so far out of four is the black textured variant of solar roofing. His sense of esthetics is keeping his team from pushing more out the door, and that coupled with assembly line issues echo Tesla’s recent troubles at Gigafactory 1. Now that these two bottlenecks have been identified, the company needs to focus on removing the one that’s easier to tackle – assembly-line problems. The other one is here to stay. As for Panasonic, maybe it didn’t know it was getting into bed with a company with such a hard-headed leader when it first struck the partnership deal. But it’s clear that it will take one for the team anytime. That pre-emptively and effectively crushes any rumors about Panasonic not being happy with the Gigafactory 2 situation.